Andrea (Liz) Allen is a co-owner and works administratively as the CLIENT CARE COORDINATION MANAGER and the OFFICE MANAGER. Originally from Puebla, Puebla MX., Liz came to the United States in 1974, as an Exchange Student. Liz lived in Livonia, NY and moved to San Antonio, TX in 1975. Liz is a true testimony to the notion that hard work and dedication can have tremendous dividends. In 1981, Liz began employment with a San Antonio home health agency as a telephone operator for their payroll department. She discovered how passionate she felt about the home care industry. It was at this agency that Liz worked with Mary Medina and Cindy Cruz for the first time. Being bilingual proved to be a tremendous asset, as Liz was promoted to Payroll Clerk, where her job was to ensure the personal care staff were paid timely and accurately. Liz quickly learned that these employees were the backbone of the industry and their work ethic made all the difference for the client’s well being. 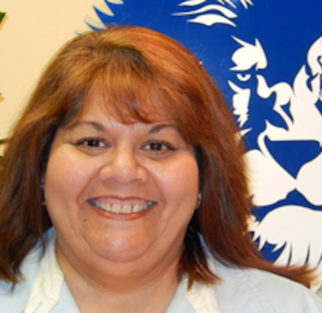 After 18 months of working in the Payroll Department, Liz was promoted to Service Coordinator, where she was was responsible for locating, interviewing and hiring attendants for the elderly and disabled clients in and around Bexar County. In 1985, Liz continued her way up the corporate ladder and became the Scheduling Coordinator for the Field Supervior staff who conducted patient visits. One year later, Liz was again promoted to office manager, a position she held for 8 years, until 1995, when she resigned from that organization. In 1995, Liz, Mary and Cindy came to work together again, starting a PAS program for another individual. In 1999, with all their previous experience in the home health arena, Cindy, Mary and Liz opened Pride PHC Services, Inc. Starting with a simple philosophy, a mission to provide quality services to the community. They wanted to put the consumers first and their business would naturally grow and prosper. 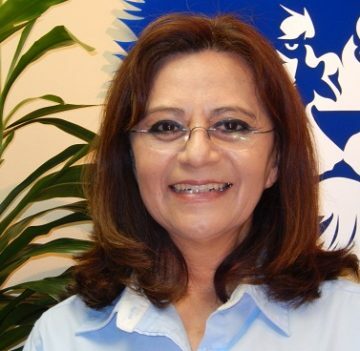 Mary Medina is co-founder and works administratively as the PAYROLL and HUMAN RESOURCES MANAGER. A San Antonio native, Mary graduated from Oliver Wendell Holmes High School in 1977 and immediately began her journey in the medical health industry working for different hospitals, rehabilitation centers and home health agencies. While working for her first home health company, Mary met and worked closely with Pride PHC Services, Inc co-founders Liz Allen and Cindy Cruz. It was here where Mary realized that she enjoyed helping people and engaged in her mission of fostering an environment that prioritized caring for the needs of the individuals served, as well as needs of the personal care attendants providing the much needed personal care services. 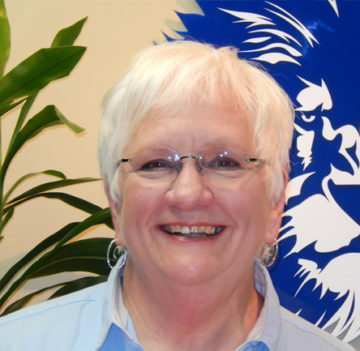 Mary’s almost 20 years experience in the home health industry proved instrumental in the establishment of Pride PHC Services in December of 1999. Pride’s goal is to provide our clients with the best quality care possible. Speaking from her own personal experience, Mary can testify to the importance of quality patient care in the home. Both her grandmother and uncle were cared for by Pride personal care attendants for many years. Mary understands what a great relief it is for family members to have the assistance of a caring and compassionate attendant, affording them the opportunity to remain happily in their home. Mary believes that all Pride employees are proud to play a role in their dedicated mission to provide the best care possible, allowing those individuals served to remain independent and in their own homes. Veronica Arriaga was born in San Antonio, Texas in 1964. She lived in San Antonio for 27 years, until she moved to Floresville, Texas to raise her children. Veronica is a great example of a caregiver, raising three children from her first marriage and now a blended family of eleven in her second marriage. Her children range in age from 14-30, not including her many grandchildren. Veronica has only her youngest at home, who keeps her actively involved with all her extracurricular activities, especially with the local H.S. Marching Band. Working for Oak Hills Family Services as an Outreach Coordinator in 2000, in Floresville Texas, launched a new calling of working and advocating for those who are elderly or disabled adults. Veronica continued her service to the community with the San Antonio Food Bank from 2002 -2005 in the Food Stamps and Good Nutrition for Seniors program. As an Outreach Coordinator for the Food Bank, Veronica collaborated with the Health and Human Services Commission, giving her priceless experience in understanding the complicated state and federal policies. In 2005, Veronica took her experience to the Catholic Charities Archdiocese of San Antonio, where she helped to run Money Management Program 2008. This position allowed Veronica the opportunity to continue to work one-on-one with individuals and directly with Adult Protective Services. Her work with Adult Protective Services sparked a fire and Veronica has become a passionate community advocate/spokesperson in helping to combat Elder Abuse. While helping individuals with needs, she has worked directly with the Social Security Administration and has gained an immense understanding Social Security Disability policy and procedures. Services outreaching to those that are the neediest in the community and guiding them into getting benefits that they are eligible for. Her position with Pride PHC Services allows her to continue advocating for Elderly and Disabled adults, through community involvement with the Not Forgotten Coalition 2003 -2006; Long Term Care Council 2002-2012; Elder Abuse Task Force 2006-2012; Wilson County Interagency 2006- Current, Alamo Senior Advisory Council 2008-current; and the Coalition of Advocates for Adult Protective Services (CAAPS) 2009-Current. Veronica is continually called upon by contemporaries in her field, asking for her advice, direction and assistance in helping individuals in our community with very desperate needs. Veronica is eager to help and feels truly blessed to have an opportunity to serve her fellow man. Ana Bishop is a native of San Antonio Texas, born and raised by her widowed mother in the King William district. Ana is happily married to her husband, Gregg of twenty years. They have a lovely daughter, Anabel who will be blessing them with a grandchild in July. Ana enjoys simple things in life and spending her off-time volunteering in her church and spending time with family and friends creating memories. 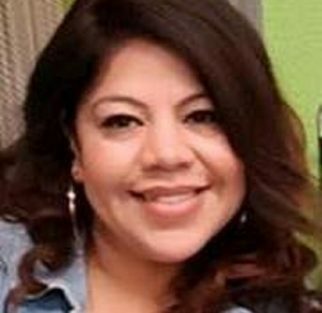 Ana started her career in the healthcare industry several years ago and then proceeded to work with the University Health System assisting as a Government Program Specialist. While passionately working with assisting patients to obtain their Social Security disability benefits, she had the opportunity to work with influential people such as John Heard, LLP. This opportunity afforded her the chance to work as a paralegal and assist attorneys with Social Security disability hearings. Since Ana joined the team at Pride PHC Services, she has had the opportunity to pay it forward in South Texas by “hosting” bingos and other Senior games. Ana also understands and knows that taking care of our elderly comes with a commitment to patience, love and understanding. Ana became the caregiver for her mother, who had vascular dementia until she passed away in 2012. Ana lives her life with the following verse always in mind “Treat others with respect, love and kindness even if you are not treated the same”. Abraham is a born and raised San Antonio native. 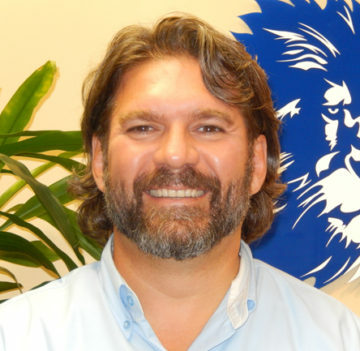 He graduated from San Antonio College with associates degree in nursing with RN license in 1999. Abraham has been working as RN for the past 16 years in the fields of long-term care, rehabilitation and hemodialysis. Since 2010, he has been working with Pride PHC Services and affiliated companies, with emphasis in the field of home health care community nursing and personal attendant services (PAS) supervision. He currently serves as the Director of Nursing for Pride PHC Services’ PAS programs. Abraham is bilingual and passionate about the home health industry, valuing the opportunity to work with Pride to meet the goals of serving the elderly and those with disabilities in their homes throughout South Texas. Abraham has a genuine desire to help those with needs and ensuring that no avenue is left unexplored when a need is discovered. Andres (Andy) Cruz is a graduate of The University of Texas at San Antonio, having attained Bachelors of Arts Degrees, both in Psychology and English Literature, with a Minor in Marketing. Being raised in a household of a Medical Doctor and Registered Nurse, it was natural that Andy learned about caring for the needy and ill. While completing his university studies, Andy worked a 4 month internship as a Case Worker with the Department of Health and Human Services. Being bilingual, Andy was asked to support the rural Central Texas communities with eligibility for the state monitored personal care services. This internship gave Andy tremendous insight to the significant needs and obstacles facing the individuals he now serves through Pride. Prior to joining his mother’s (Cindy Cruz, Rn) mission, Andy held postions of repsonsibility as Co-owner of ROCK-N-JAVA CAFE and as Assistant Vice President at IBC Bank. 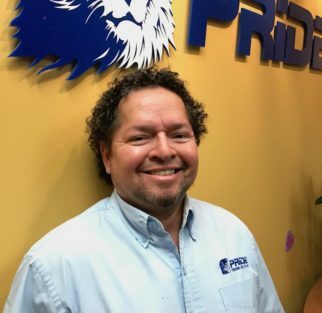 In 2003, Andy brought his business and professional experience to Pride PHC Services, Inc. Andy currently serves as the Alternate Administrator/CFO, as well as the Director of Community Care. Andy shares his mother’s vision of providing quality care, while supporting local and national charitable organizations as they strive for disease cures and provide resources for the infirm and growing senior population. Lucinda (Cindy) Cruz, RN is a co-founder and President of Pride PHC Services, Inc. Since 1999, she has been the acting Administrator/CEO and continues to direct the corporations daily operations. Cindy has been an RN since 1965 and began her tenure in HOME HEALTH CARE in 1984, working as the agency’s only bilingual Registered Nurse Field Supervisor in Tampa, Fl.Cindy continued her career in Home Health when she moved to San Antonio, Texas in 1986. She worked again worked as a Field Supervisor for 6 years before being promoted into the Assistant Adminstrator role. In 1995, she resigned from her assistant administrator position when she accepted an Administrator position for a start up home health agency. 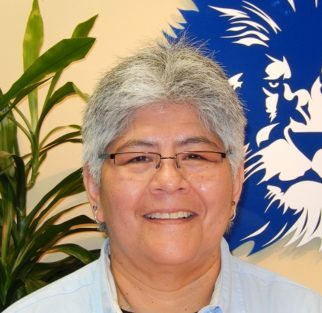 In 1999, Cindy elected to open Pride PHC Services, Inc. It is Cindy’s goal to make a difference in the lives of the persons served by Pride PHC Services and to share her compassionate care philosphy with all those affiliated with her organization. She has surrounded herself with key personnel who combine their professional experiences to provide dignified and respectful care to the senior and infirm population of Central Texas.